For a larger image, click on lower right hand corner. * Bids which are highlighted in yellow were a result of a secret maximum bid. To find out more about placing secret maximum bids, please click here. Sales tax: Sales Tax is only charged on this item for residents of California if your invoice total of numismatic/bullion items is less than $1,500. GreatCollections was founded by Ian Russell as a marketplace to serve the rare coin and bullion community. The idea is that there are many places to buy and sell coins, though very few ensure that the transaction is conducted in a safe and secure manner while keeping both parties confidential. 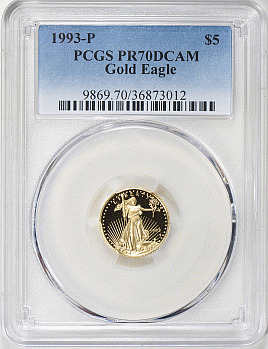 GreatCollections offers collectors an extensive selection of certified coins ranging in price from $25 up to $10,000s. All coins have been professionally listed and imaged by GreatCollections expert staff and most are certified by the leading third-party grading companies. If you have any questions, please do not hesitate to contact us at +1-949-679-4180 or via e-mail to [email protected]. GreatCollections Coin Auctions & Direct Sales. 17500 Red Hill Avenue, Suite 160, Irvine CA 92614. Tel: 1.800.44.COINS (+1.949.679.4180). Contact Us. No content on the GreatCollections website (including coin/currency images and prices realized) may be copied, distributed, published or used in any way, in whole or in part, without prior written agreement from GreatCollections.com, LLC. GreatCollections® is a Registered Trademark of GreatCollections.com, LLC.